that there is more in the world than what can be seen or grasped. night the meaning of it all becomes clear. nothing to do with words. as Nadira the Reader embarks on the journey from servant to sorceress. HARDCOVER Available December 8, 2011. Order it now from Knox Robinson Publishing or ask for it at your local brick and mortar bookstore. Don’t forget to read the short story PREQUEL “The Key of All Things” available as a free download HERE. 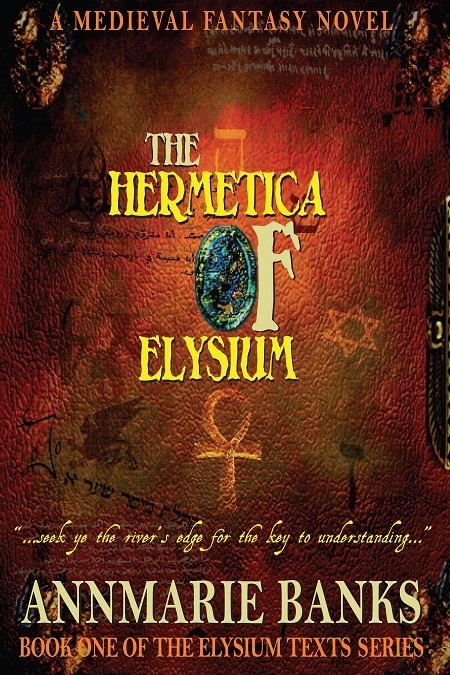 The Hermetica of Elysium is released as an ePub, ePDF and Mobi (Kindle) file. Purchases can be made through your Apple iTunes Bookstore, Amazon (Kindle), or directly from the KRP website. Nadira has earned her place in the company of adventurers traveling to Istanbul to uncover something the Templar Knights lost 200 years before. She brings with her the knowledge and skills she acquired from reading The Hermetica of Elysium and learns that she is the key the Templars need to unlock their past. But, she is also on a quest to discover the source of the voice that has summoned her to Elysium. And she intends to journey to Eleusis to study with the last priestess of the old religion once she has helped the Templars. Lord Montrose is impatient with their mission. He is eager to turn his attention to seeking out and punishing his brother’s murderers who sail the Mediterranean hunting heretical manuscripts. While another member of their group, the faithful Friar William, is in the throes of doubt as his faith is challenged by what he has seen of Nadira’s growing powers and the mystical elixirs of the alchemists. But danger lurks beneath the surface of the Templars’ mission as they have not been honest in their intentions toward Nadira. When she realizes what it is they are after, she is horrified to learn that this mission not only threatens the lives of the company, but if successful, will grant dominion over Death itself. 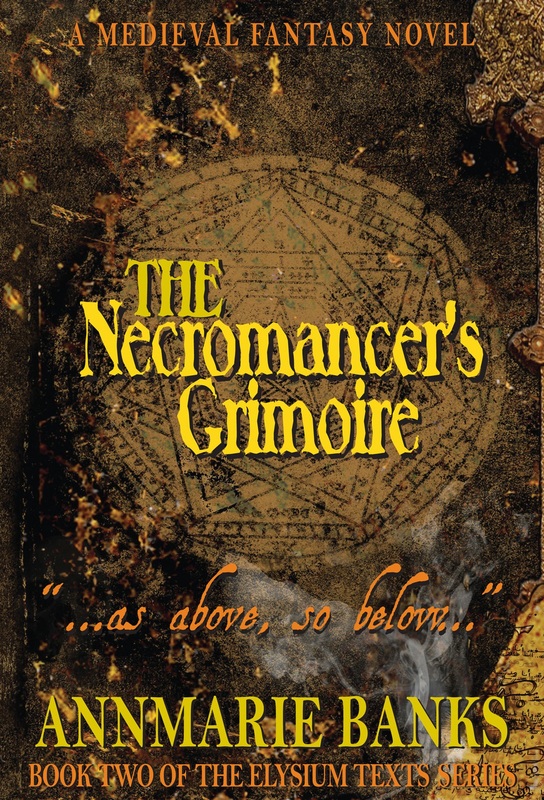 What they want from her is no less than the harrowing of Hell and to read the book of Satan’s realm, The Necromancer’s Grimoire. Necromancer Release Party at Vision Quest Bookstore March 6th at 7 PM. Will you be bringing back the Elysium Texts for the Kindle? I have the first two in the Kindle edition, and I would love to read the third. I have fallen in love with this series. thanks. Yes. The publisher went out of business and returned the rights to me. 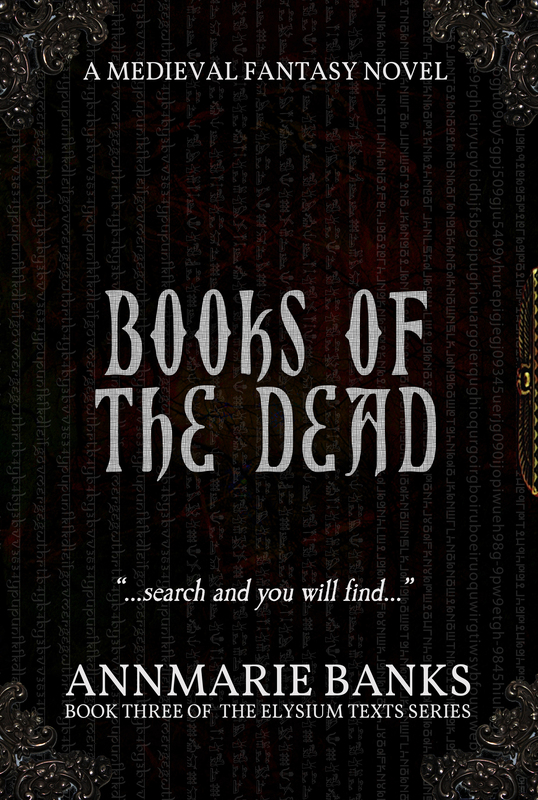 However I do not own the rights to the cover images, so I cannot put them on Kindle until I get new covers. I am thinking of combining the three into one very long story (only one cover to design!). Thank you for asking. I hope to have Nadira and her fellows back on Kindle before summer.